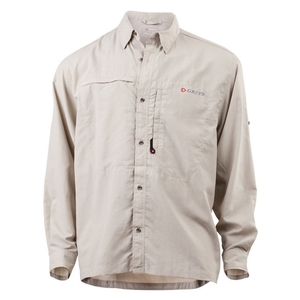 Greys Strata Fishing Shirt. 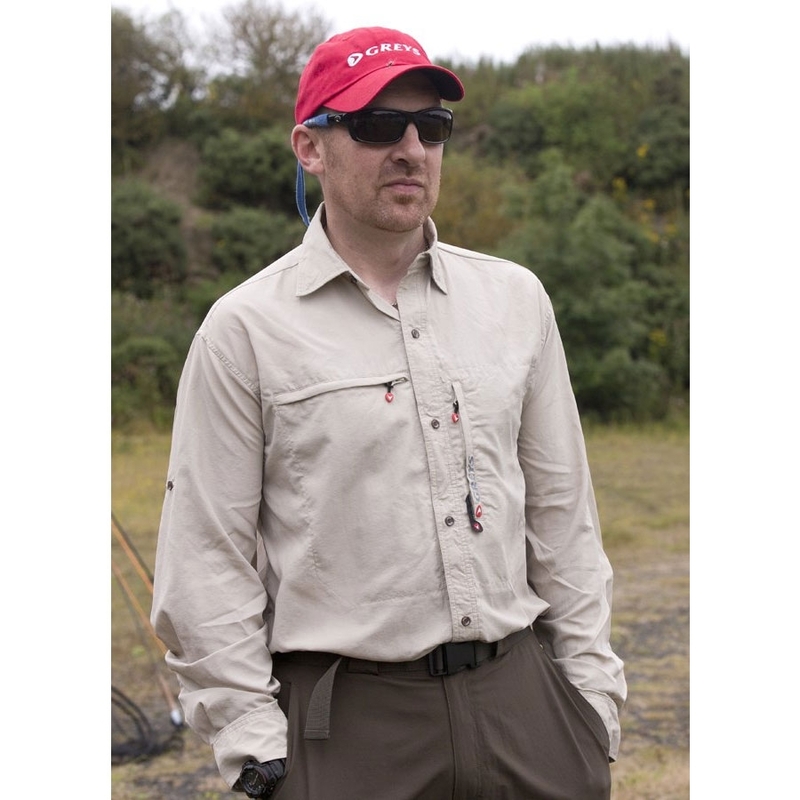 Lightweight quick drying technical fishing shirt with excellent UV protection Featuring button up sleeves, 2 zipped pockets and mesh ventilation. Offers outstanding protection from the harmful rays of the sun. Whether you're on the bank or on a boat - you're covered. Keep cool in humid conditions. 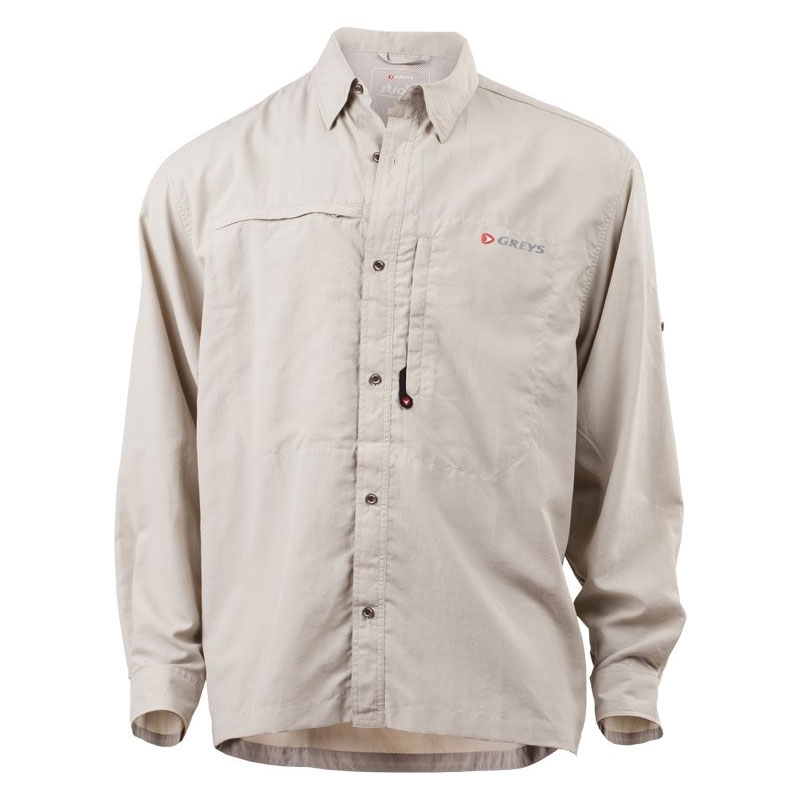 Heat and moisture escape via a discreet meshed vent on the back of the shirt. Clip or pin your zinger and other tool attachments to the discreet tab when you're fishing. Easily remove when you're not. Simple. Quality zips offer easy and smooth operation.